Spizz started life on the 27th August 1977 at a all day Punk festival at Barbarella’s in Birmingham. Solo at first then a few months later joined by Pete Petrol they became Spizz 77, By ’78 they were SPIZZOIL and after a gig with Siouxsie and the Banshees at the Roundhouse they were invited to do a John Peel session. Jeff Travis of Rough Trade heard this and offered them a deal, they released two single as Spizzoil, 6000 Crazy and Cold City 4. Spizz and Pete split during a Banshees tour and Spizz was joined by Jim Solar and Mark Coalfield and became SPIZZENERGI as whom they did another Peel Session. Soldier Soldier was the next single followed by the legendary Where’s Captain Kirk (released nicely to tie in with the first Star Trek movie. Where’s Captain Kirk was top of the indie charts for ages and if it was released these days would surely have gone top 10. By 1980 they had become Athletico Spizz 80 and released their last indie single No Room / Spock’s Missing (advance orders topped 50,000!) so major labels started showing an interest and they finally signed to A&M, their debut album Do A Runner went to number 18 in the national charts…. Then the rot set in, due to management pressure they changed their name again to The Spizzles (as the management thought they were going to be bigger than The Beatles!). Another album followed Spikey dream Flowers it flopped and soon after they were dropped. Our compilation came about during a drunken covnversation at a gig in docklands in 1993. Spizz still carries on today in various guises and names. 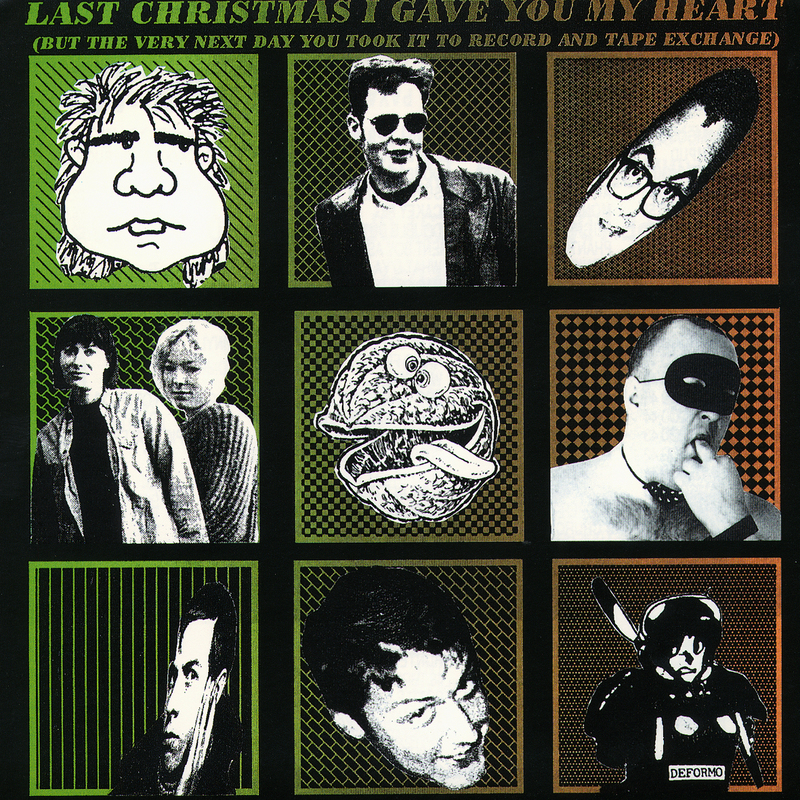 Plus, they had ‘Happy Xmas (War Is Over’ (As Spizzmas)’ on ‘Last Christmas I gave you my Heart’ (Dampud 57 Dbl 7”) a double 7” red vinyl with clear flexi disc released 19.12.94, which also featured Wat Tyler, Cuckooland, Monkhouse, Pregs and Rugrat.